The adaptor plates are fixed to the reverse of the frame moulding on three sides. Rawlplugs are included & these are fixed to the wall to match the adaptor plate positions. 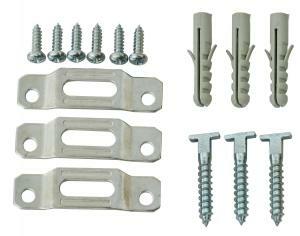 The screws are inserted into the rawlplugs with the heads matching the slot positions. 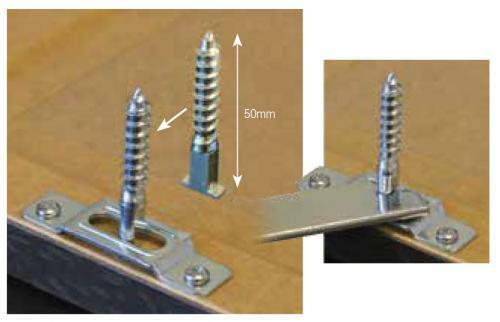 The frame is then pushed to the wall & the heads of the screws are turned 90 degrees with the special spanner & the frame can only be removed from the wall with the spanner. These are commonly used for displaying artwork in public places, such as hotel rooms & restaurants.